(November 2000) added more Love Affair picture sleeve singles: "Speak Of Peace" (Germany), "Lincoln County (Portugal), "Help" (Belgium), "Rainbow Valley" (Italy), "Baby I Know" (Holland) and "Bringing On Back The Good Times" (Portugal). 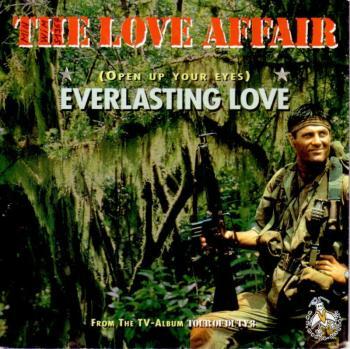 Updated the Love Affair biography with details of the 1974 line-up and added information about a 4-track Love Affair CD-single and a 2-track vinyl single issued to promote the "Tour Of Duty" TV-soundtrack. The CD-single contained "Everlasting Love", "Rainbow Valley", "A Day Without Love" and "One Road", while the 7" vinyl version only featured the first two songs. Only "Everlasting Love" was included on the soundtrack album though. (September 2000) added Spanish Love Affair picture sleeve singles of "Rainbow Valley" and "A Day Without Love"), plus details about a Love Affair "Private Lives" acetate with an unreleased B-side! Finally completed the Tim Staffell biography and discography (Tim was the vocalist with Morgan). (September 2000) THE LOVE AFFAIR - "No Strings" CD released! Angel Air have released a lovingly compiled Love Affair rarities album called "No Strings - Every Now And Then" (Angel Air SJPCD071). The album mixes unreleased recordings with rare single and album tracks. Three of the original members (Morgan Fisher, Maurice Bacon and Michael Jackson) have also recorded a new track for the compilation called "It's A Love Affair". More details! 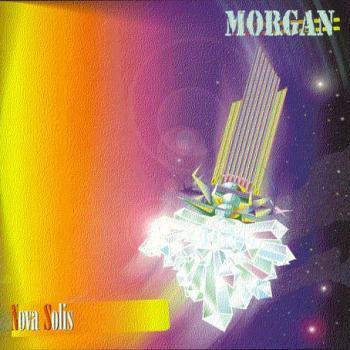 (August 2000) MORGAN - "Nova Solis" - finally released on CD! "Nova Solis", the first album by Morgan Fisher's 1972 band Morgan, is now available on CD for the first time (Angel Air SJPCD067). And it was about time too - the original LP was deleted 25 years ago! This album holds up well even by today's standards and is well worth investigating. Last year Angel Air Records released the second Morgan album "The Sleeper Wakes" (SJPCD049) which is just as good and they are planning to put out the solo album Morgan Fisher recorded in 1973, later this year. More details about all things Morgan will be added to these pages soon. Added Love Affair picture sleeve single of "A Day Without Love" pic sleeve. Added details about the Love Affair "Just One Drink" CD from 1994 which was recorded around 1979/1980. (July 2000) the new Morgan Fisher website is now up and running. Be sure to bookmark www.morgan-fisher.com today! (June 2000) added Love Affair picture sleeve singles of "One Road" (Holland) and "Everlasting Love" (France), plus a Japanese Zzebra single featuring Gus Eadon. The Phillip Goodhand-Tait albums "Oceans Away" (1976) and "Teaching An Old Dog New Tricks" (1977) are now available on one CD, from Span TV Ltd. in England. (May 2000) Added a Polish Love Affair postcard single and a French Zzebra picture sleeve single featuring Gus Eadon on lead vocals. 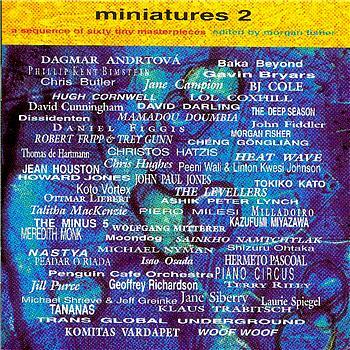 VARIOUS ARTISTS: "Miniatures 2" - new CD out now! "Miniatures 2" (Cherry Red CDBRED 165) is the long awaited follow up to the 1980 "Miniatures" album. The new album is compiled by Morgan Fisher and are available from Cherry Red Records. It is a fascinating collection of 60 new tracks, all no more than 60 seconds long. Contributors on the album include Gavin Bryars, Hugh Cornwell (Ex The Stranglers), Lol Coxhill, David Cunningham, John Fiddler (Ex Medicine Head), Robert Fripp (Ex King Crimson), Howard Jones, John Paul Jones (Ex Led Zepplin), The Levellers, Penguin Cafe Orchestra and Terry Riley. "Miniatures 2" is also issued in Japan (Consipio Multiplex Records MXCY-80002). Added six new Love Affair picture sleeve singles, and restructured the Love Affair picture sleeve gallery. (April 2000) 'IGGINBOTTOM - 1969 album finally re-issued on CD! Added a page about Gus Eadon solo releases and guest appearances. 3xJapanese and 2xHong Kong Love Affair picture sleeve singles has been added to the gallery. 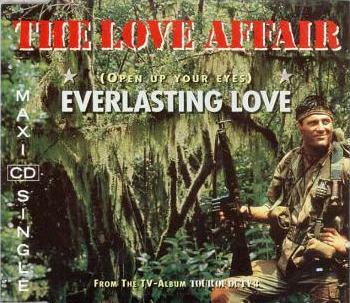 Updated the Love Affair album discography with details of a German "Everlasting Love" LP. (January 2000) MORGAN FISHER - new album! 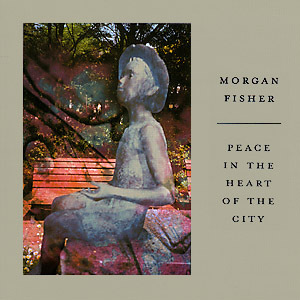 Morgan Fisher has recently re-recorded his 1988 album "Peace In The Heart Of The City" for Cherry Red Records in England (Cherry Red CDMRED 164). The original album came out on Kitty Records in Japan and was very well received at the time - even granting Morgan an invitation to perform at the big Expo '90 in Osaka. Some tracks from the original 1988 version are currently available on "Echoes Of A City Life" (Kitty Polygram KTCM-1094), a Japanese only compilation with tracks from Morgan's three Kitty albums "Peace In The Heart Of The City", "Life Under The Floor" (1987) and "Echoes of Lennon" (1990). (October 1999) www.steveellis.co.uk is the new official Steve Ellis website! Read all about Steve's forthcoming album! Tour of Duty was a CBS television series which ran for three seasons from 1987 to 1990. It followed an American infantry platoon on a tour of duty during the Vietnam War, and was known for its classic rock soundtrack. 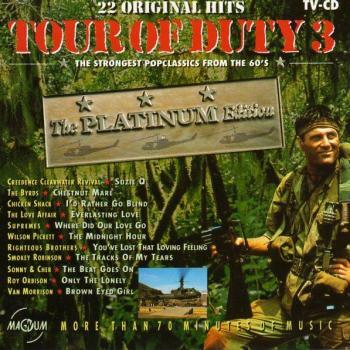 In Holland a total number of seven "Tour Of Duty" soundtrack albums were released, containing most of the songs featured on the show. "Everlasting Love" by the Love Affair was included on the third edition and was also released as a single.